Hi. Great to see you! I’m Jody, and I’ll be looking after both of you for the first month you’re working here at the Amersham Theatre. I’ll tell you something about the theatre now, then take you to meet two of the other staff. than now, and the seats were very close together. We’ve replaced them with larger seats, with more legroom. This means fewer seats in total, but we’ve taken the opportunity to install seats that can easily be moved, to create different acting spaces. We’ve also turned a few storerooms over to other purposes, like using them for meetings. 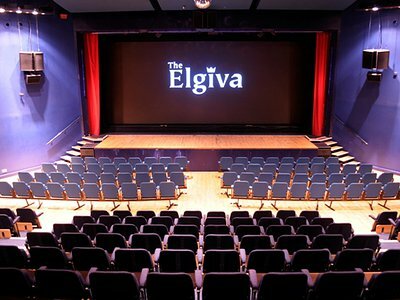 We try hard to involve members of the public in the theatre. One way is by organising backstage tours, so people can be shown round the building and learn how a theatre operates. These are proving very popular. What we’re finding is that people want to have lunch or a cup of coffee while they’re here, so we re looking into the possibility of opening a cafe in due course. We have a bookshop, which specialises in books about drama, and that attracts plenty of customers. Then there are two large rooms that will be decorated next month, and they'll be available for hire, for conferences and private functions, such as parties. We re also considering hiring out costumes to amateur drama clubs. Now I want to tell you about our workshops. We recently started a programme of workshops that anyone can join. Eventually we intend to run courses in acting, but we’re waiting until we’ve got the right people in place as trainers. That’s proving more difficult than we’d expected! There’s a big demand to learn about the technical side of putting on a production, and our lighting workshop has already started, with great success. We re going to start one on sound next month. A number of people have enquired about workshops on make-up, and that’s something we’re considering for the future. A surprise success is the workshop on making puppets - we happen to have someone working here who does it as a hobby, and she offered to run a workshop. It was so popular we re now running them every month! Standing here in the foyer, you’re probably wondering why the box office isn't here, where the public would expect to find it. Well, you might have noticed it on your way in - although it's part of this building, it’s next door, with a separate entrance from the road. 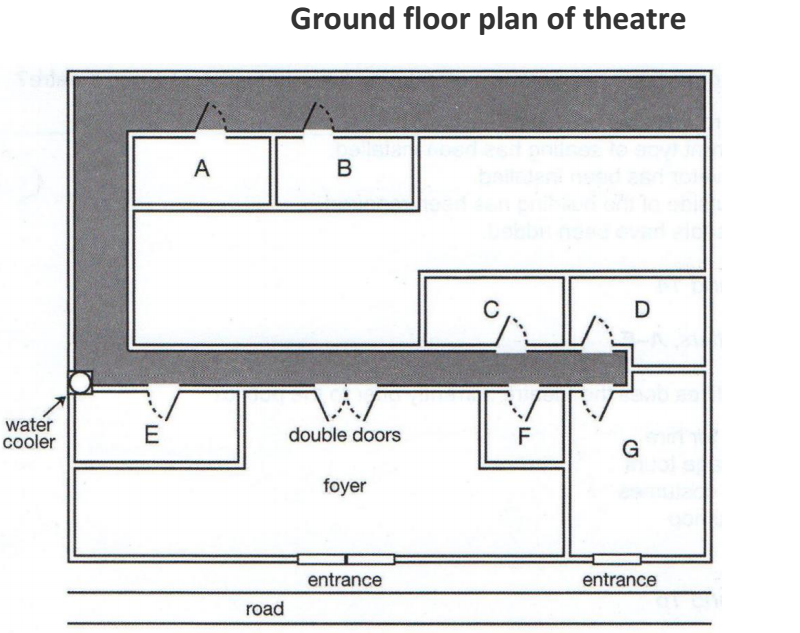 For the theatre manager's office, you go across the foyer and through the double doors, turn right, and it's the room at the end of the corridor, with the door on the left. The lighting box is where the computerised stage lighting is operated, and it’s at the back of the building When you’re through the double doors, turn left, turn right at the water cooler, and right again at the end. It’s the second room along that corridor. The lighting box has a window into the auditorium, which of course is below us.